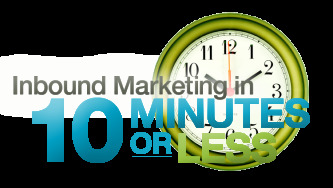 Tuesday's Tips & Tactics - Inbound Marketing in 10 Minutes or Less is a weekly series presented by a member of the Kuno Creative inbound marketing team. The series is designed to instruct viewers on the best ways to think about and deploy inbound marketing tactics in order to maximize marketing resources, leads and sales. Each week will be completely devoid of hype and focus exclusively on proven concepts and tactics deployed every day in the Kuno labs. This week's episode offers up a list of best practices and considerations for press release optimization in order to maximize search engine benefits for the press release as well as the website it links to. Some of the topics covered include social media, URL redirects, tracking URLs, inbound links, images, video, duplicate content and how many links to include in a press release. Join us next week for a Tuesday’s Tips & Tactics on how content marketing affects website analytics. Feel free to leave questions and topics of interest for future shows in the comments box below. Use press releases for search engine optimization and social media optimization to maximize traffic, conversions and leads.